A good option for this would be to disable text and show only the icons. aleha wrote: A good option for this would be to disable text and show only the icons. 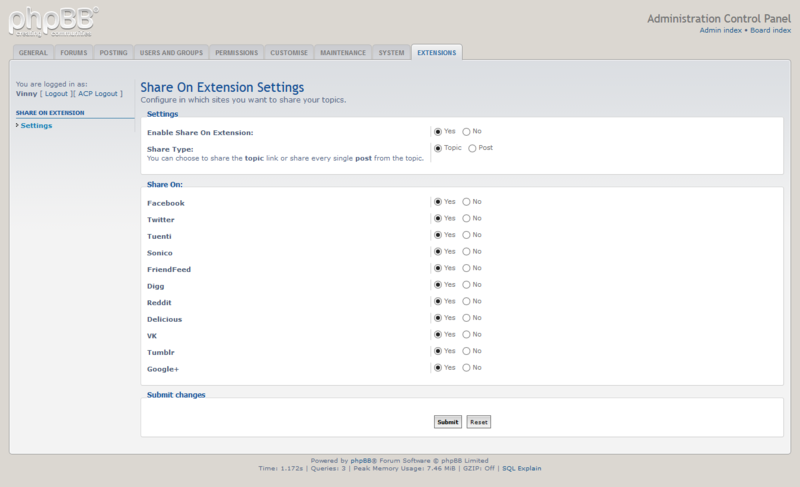 The extension will only have the default option. Note: use only for testing purposes. The selected extension is not available for this board, please verify your phpBB and PHP versions are allowed (see the details page). 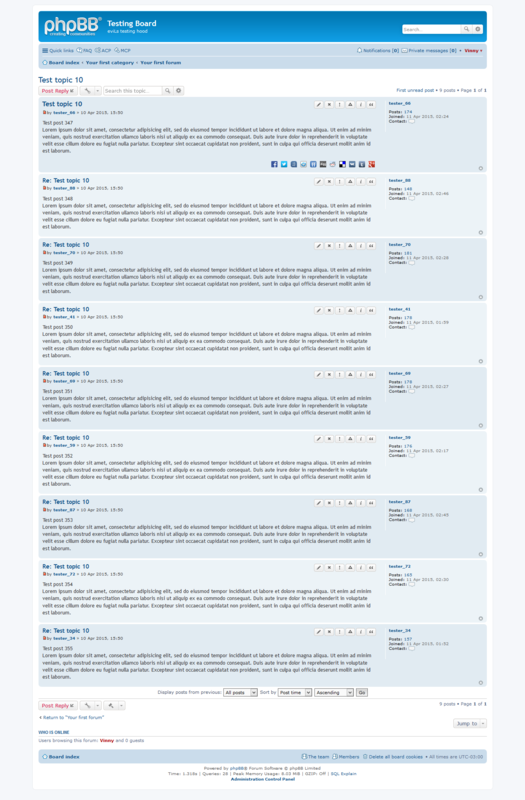 I'm using phpBB 3.1 a2 downloaded from here. Sorry, extension is missing PHP version requirement. Or just download again and replace this file with the new one. 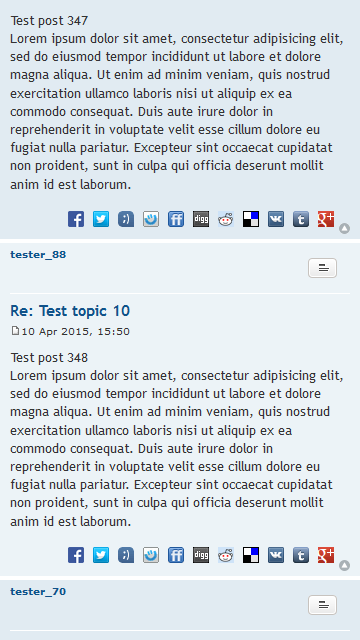 But when I change position setting to "After the first post" it seems that it doesn't change anything in a topic. Also, it would be nice if there is tooltip for "standard" button. EDIT: It seems that "Delete post", "Information" and "Report this post" Buttons are under your main button in post. I would like to have option to show those button separately. leschek wrote: Thank you. It's working now. Remembering that it is a development release, in addition I will remove the position option. leschek wrote: EDIT: It seems that "Delete post", "Information" and "Report this post" Buttons are under your main button in post. I would like to have option to show those button separately. 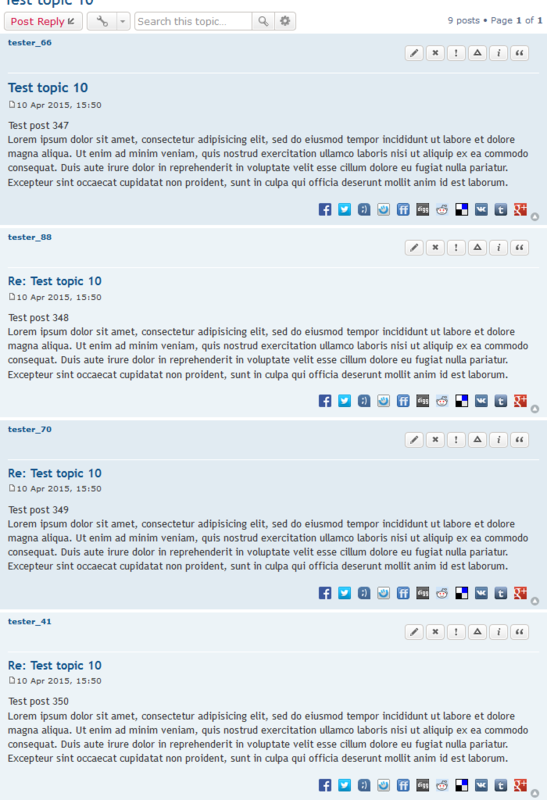 This occurs due of the responsive style, I need to find a way to avoid it. 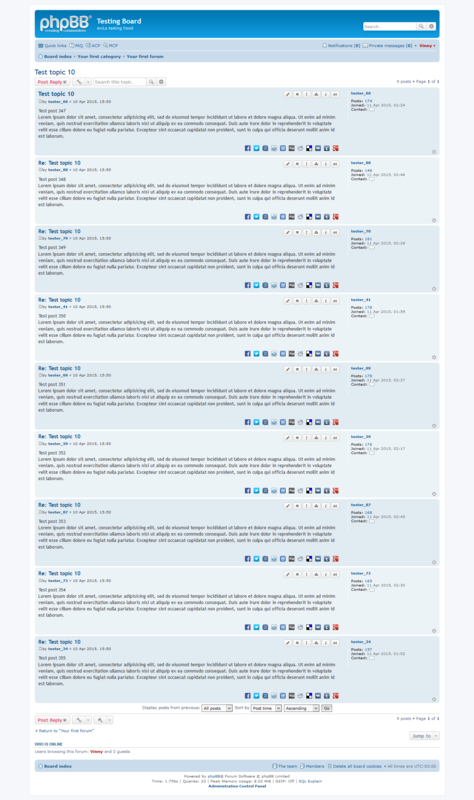 I installed it only on testing board, because I didn't use it before and because it is so easy to try the extensions on phpBB 3.1. I'll update the extension only after the approval/release of MOD version 2.2.0. The “vinny/shareon” extension is not valid. Required meta field license has not been set. No problem Vinny, I'll keep an eye on it for any updates. Although I get the same error as the member above, even though I have that line and I'm using php5.3.3. RC2 board version. Updated. Still unfinished, missing some features and contains bugs, but it works on RC2. But I don't understand what step 2 means?